Malcolm Lowe has been missing from the front seat of Boston Symphony concerts for almost a year. The orchestra explained today that the veteran violinist, 65, has been suffering from concussion after a near-collision with a cyclist. 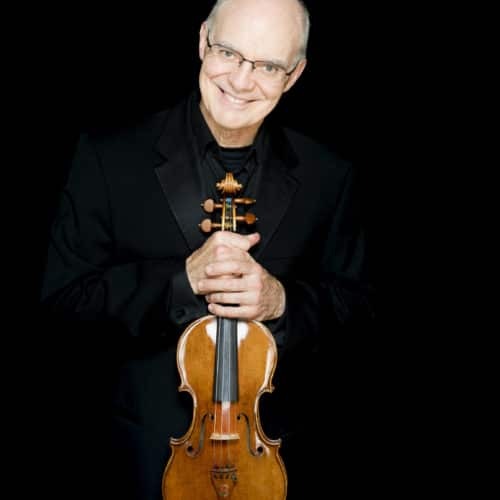 Lowe, a Canadian, joined the BSO as concertmaster in 1984. He studied with Ivan Galamian at Curtis and with Sally Thomas and Jaime Laredo. One wonders why this was kept a secret for a year. Perhaps Mr. Lowe requested that? He is an outstanding concertmaster. We wish him well. Often, with something like a concussion, the person keeps feeling like they will be able to return to work soon… only to find that the effects linger longer than anticipated. It probably wasn’t being “kept secret,” but more like “ok, we finally have to acknowledge that this is going to be a longer-term thing than we thought.” That’s my guess, anyway. He got a concussion from a near-collision that put him out for a year? Football players get concussions from an actual collision and play the next week. Something is missing from the explanation given. Perhaps he is retiring.